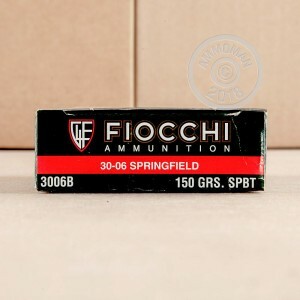 Stay on target and on budget while hunting with this .30-06 Springfield ammunition from Fiocchi. These powerful cartridges fire a 150 grain soft point bullet designed to mushroom and bring down deer and other game quickly and efficiently with minimal fragmentation. The bullet's boat tailed profile enhances its wind resistance and helps produce more consistent results at long range. This ammunition uses non-corrosive Boxer primers and brass cases. 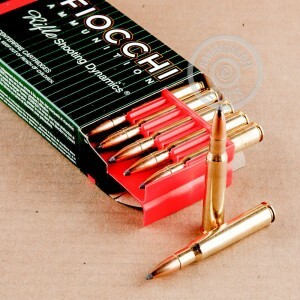 Most Fiocchi centerfire ammo sold in the US is also made in the US at Fiocchi of America in Ozark, Missouri. Free shipping on ammo can be hard to come by--except when it isn't? AmmoMan.com makes it easy to save on S&H with free shipping on all orders over $99.